Properties over 10 million euros were still considered “most expensive” in Mallorca five years ago! Meanwhile, building standards have improved and prices have doubled. 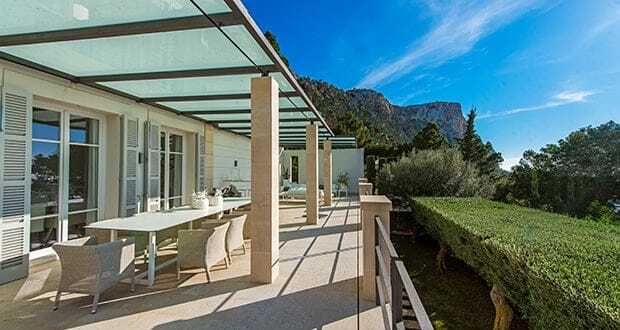 “Today, very expensive properties would be those for more than 20 million euros,” says Daniel Chavarria Waschke, director and partner of Mallorca Gold. One of the most exclusive offers in the agency portfolio is currently a property in Son Vida for just under 30 million euros. Its privileges include a panoramic view of the Bay of Palma, a living space of around 3.000 square metres, innovative house technology, a helicopter landing pad and a landscaped pool terrace, which can be enlarged, thanks to a hydraulic lifting platform. 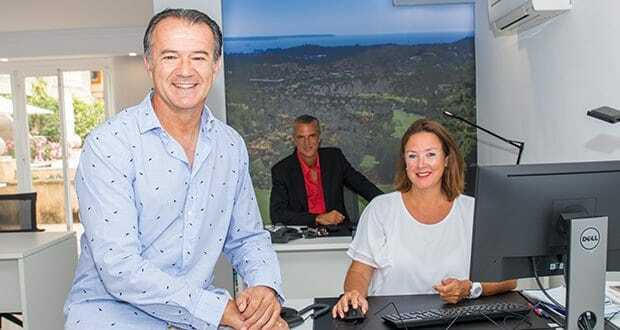 The 17 employees of Mallorca Gold market approximately a thousand offers from all over the island, including 15 to 20 properties of over 20 million euros. It takes two to three years to sell such a property. For real estate between 10 and 15 million euros, a new owner can be found after 12 to 14 months. “The really rich are not coming to Mallorca yet,” says Daniel – because it’s lacking an outstanding cultural offer, luxury brand boutiques, first-class restaurants and beach clubs, where they serve you a good meal while you are barefoot at the beach – like they do in the Côte d ‘Azur. Nevertheless, he and Heidi Warth, who founded Mallorca Gold 17 years ago, decided to focus on the luxury segment with their agency. 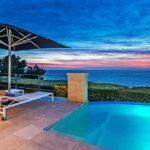 For two years now, they have accepted only properties worth more than two million euros – a figure which is in line with demand: Seven out of ten customers are looking for a sea-view property in the southwest of Mallorca, which is not possible to find under two million euros (refurbished and ready to move in at three million euros). The interior of the properties is of the highest standard, with integrated home automation and ecological climate systems using geothermal energy and solar panels. They are most successfully sold if they are completely ready to live in: an interior designer takes care of the entire furnishing with high-quality materials such as Binissalem sandstone, wood and oak floors, in addition to custom-made furniture, art objects, light effects for special LED lighting, as well as designer bathrooms and kitchens. The highest maxim in the luxury segment is to combine house and nature. Newly built villas often lie on a slope with a sea view and therefore have a wide layout with an open structure. The living room opens through large sliding windows to landscaped terraces with a pool. “The Southwest has always been a hotspot for luxury properties,” says Daniel who has more than 15 years of brokerage experience. International schools, several golf courses and shopping possibilities are very close by, Palma and the airport are easily accessible, and the sheltered location already provides pleasant temperatures in January. As demand is growing in this region, Mallorca Gold has now opened a fourth office in Port Andratx to be able to advise their German, Swedish, and British customers in situ. With a sophisticated questionnaire, the wishes and needs of the potential customer are narrowed down to present three suitable objects in the following. Whether it is a villa with access to the sea in Bendinat or a mansion with an orange grove in Fornalutx – people look for a holiday home for pure pleasure, which can be reached in a maximum of three flight hours from home. The buyer profile “has rejuvenated” in recent years. Whilst eight years ago it was mainly married couples aged over 50 who came here to use their residency in spring and winter, they are now 50-year-old couples with children flying to the island during the Easter, summer and autumn holidays. The situation is different in the old town of Palma, where businessmen as well as Swedish, Danish, and German couples without children are investing. The price per square metre (13,000-15,000 euros) for a renovated old building with terrace, elevator and garage is still less than in large cities like Munich, Hamburg or Stockholm. 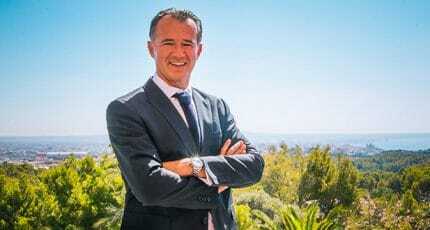 Daniel Chavarria Waschke thinks that Mallorcan prospects in the real estate market are promising for the next two years, after that it depends how the situation in the UK will develop after Brexit. “Growth rates of ten per cent are unlikely, but an increase of three to five per cent are possible,” is his forecast. What is certain is that Mallorca will continue to develop as a luxury destination. 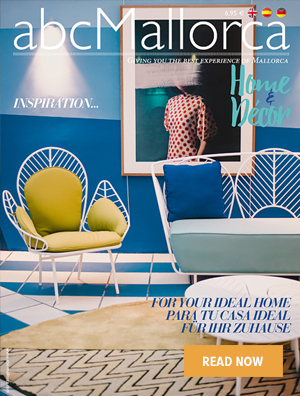 We hope you have found this article about the Mallorca Gold on luxury island properties useful and that you have many memorable stays in Mallorca as a result of our recommendations.